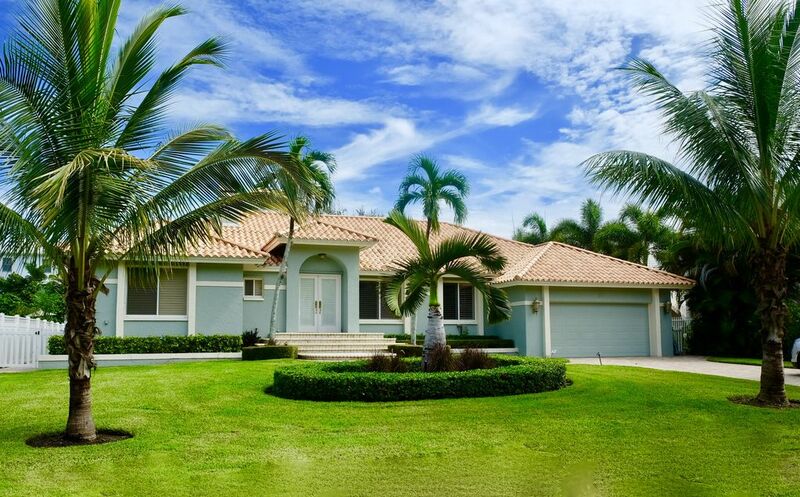 Luxurious, open-plan house with everything you need in prime Olde Naples location. One block to glorious, pristine white sand beaches and two to superb international cuisine. Meticulously maintained house has over 3000 sq ft of single floor living space with large living and dining areas perfect for entertaining. Sophisticated interior by London designer blends island elegance with cool hues to create a truly relaxing living experience. Kitchen appointed with top-name appliances, granite counters and beautiful hardwood flooring. Adjoining media area, has 50" wide-screen TV equipped with surround sound means that a night in can be as much fun as going out. Multi-room, indoor/outdoor, built-in sound with Sonos & Sirius™ satellite radio and cable high-speed broadband Wi-Fi throughout. In addition to 4 bedrooms, and three bathrooms, there is an enclosed Lanai/Florida Room, separate laundry room and garage. Outside, in addition to the large backyard you will find a large private pool, spa and grill area on the screened-in pool deck. Just bring your laptop, suitcase and sunscreen! Naples beaches are open to all but parking is very limited. Being able to walk less than 2 blocks from our house is a major plus. We are just a block off 5th Ave S, the main shopping and dining area in Old Naples so nights out don't require a car. High threadcount bedlinens and beach towels too! Fantastic house to rent. They have thought of everything we might need for a just about perfect week at the beach. 2 blocks walk to 5th Avenue Resturant row and 1 block to the gulf beach and sunsets. Everything was great, perfect location, spacious and clean house. We absolutely enjoyed our stay at this house. Really nice house with a large pool and spa. The location was the best ever! Super quiet and the beach was nice as well. Thank you George! The house was in beautiful condition, spacious, and modern. Plenty of games and kitchen supplies to entertain the kids and cook in the great kitchen. We loved having the pool and backyard so we could swim whenever we wanted and the beach is just a block away. We will definitely come again! We have been several times and always enjoy our stay. The location to the beach and Olde Naples is ideal. It always feels like home when we're here. Many thanks to the owners. Our family spent a wonderful week together at this beautiful home. Loved seeing our grandkids improving their swimming skills in the pool. Olde Naples, 1 block from beach and 5th Ave so access to the ocean, shopping and dining couldn't be much easier.